Screening best practices for mapping protein-protein interactions. Many key molecular biology paradigms were made possible by yeast two-hybrid (Y2H) technology. Y2H was instrumental in the discovery of basic biology that we now take for granted, such as effector functions in the Ras pathway, yeast mating response, tumor suppressor functions, and many other processes. As of today, Y2H remains a primary discovery tool in biosciences. However, most Y2H screens are not truly quantitative. Moreover, poor experimental design can result in inconsistent or non-reproducible results, lack of complete coverage or, most importantly, high rates of false positives. We have developed an innovative concept and methodology to harness the power of Next Generation Sequencing technology for protein-protein interaction screens which resolves the drawbacks of the conventional Y2H method. For the cost of a conventional assay, we can now characterize Y2H screens with millions of data points and achieve complete coverage of the interaction space. Additionally, by applying systematic background controls, we eliminate large numbers false positives that confound the screening results. Consult our Protein Interaction Screening Experts. Contact Next Interactions for advice from our scientists about the best approach for elucidating the protein interactions you need to understand for your research. We can advise you on methods such as the NGS-yeast two-hybrid system, yeast two-hybrid system, how to compliment interactome coverage by mass spectrometry, and more. 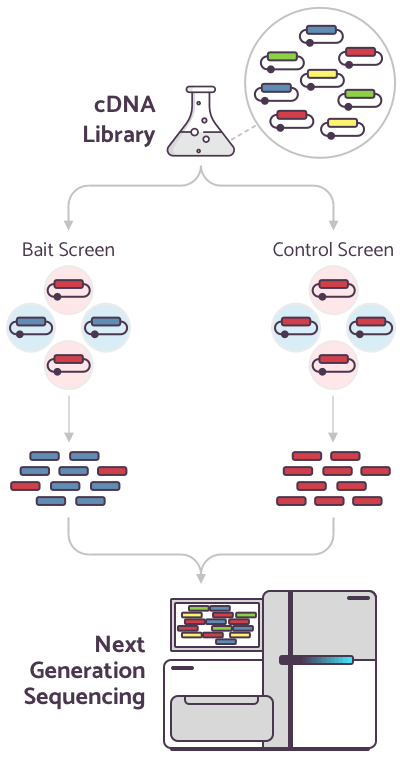 A transcription factor split into activation domain (AD) and DNA-binding domain (DBD) is reconstituted via the physical interaction of bait and prey protein fusions. This drives the expression of reporter genes, resulting in cell growth (clonal expansion) or other screenable phenotypes. Phenotypes are scored as activation by genuine bait-prey interaction (true positives), versus no bait-prey interaction (true negatives). Determining interaction partners for a specific protein is easily accomplished with our Y2H-NGS combination technology. Tissue- or organ-derived cDNA libraries are transformed into Y2H prey vectors and then screened with individual baits – your protein of interest – under selective growth conditions. The selection process results in cell populations that are differentially enriched in prey cDNAs that interact with the desired bait. The prey cDNAs in selected yeast clones are then isolated and entirely sequenced by next-generation sequencing (NGS). Determining interaction partners for a specific protein is easily accomplished with our Y2H-NGS combination technology. Tissue- or organ-derived cDNA libraries are transformed into Y2H prey vectors and then screened with individual baits – your protein of interest – under selective growth conditions. The selection process results in cell populations that are differentially enriched in prey cDNAs that interact with the desired bait. The prey cDNAs in selected yeast clones are then isolated and entirely sequenced by next generation sequencing (NGS). 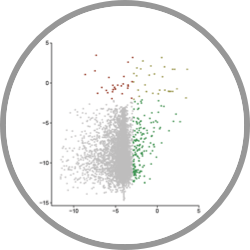 With bioinformatics tools and algorithms, Y2H screening data are now interpreted as numerical scores and can be viewed as interaction profiles rather than individual interactions. These interaction profiles are comparable to transcription profiles in RNA-sequencing. Weak enrichments from interactions with low abundance prey proteins can be detected in a large overall population and maximum coverage of the interaction space can be achieved. With appropriate background controls, it is now possible to eliminate false positives, finally solving a problem that has plagued the Y2H community from the start. Quantitative comparisons between different screen sets allow us to do data mining and predictions for gene function that are impossible with the conventional Y2H approach. Why are protein-protein interactions important? The human genome contains about 21,000 protein-encoding genes, but the total number of proteins in human cells is estimated to be between 250,000 to one million. These proteins are ultimately the players that drive all biological functions in both normal and disease physiology. It is estimated that more than 80% of proteins operate in concert with another protein, as dynamic protein assemblies or stable complexes. While individual protein–protein interactions are the edges in large proteome-wide networks, the proteins themselves can be understood as nodes that receive inputs and generate one or more specific outputs in a manner similar to computational units. 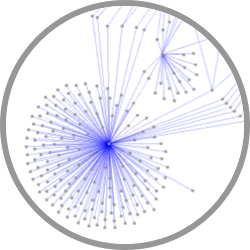 Understanding the entire protein-protein interaction map, the so-called “interactome,” is therefore critical in biology and medicine. Applications are widespread, including understanding of disease pathology, design and discovery of therapeutics, testing therapeutics for efficacy, or pure science curiosity. 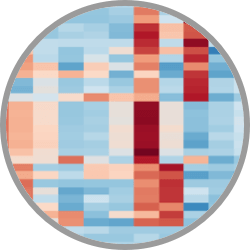 How are protein-protein interactions measured? A biochemical method for identifying protein-protein interactions is to use affinity fusion-based protein purification. This technique involves the application of generic tags or specific antibodies for target (bait) proteins coupled with generic protein purification methods. Commonly, mass spectrometry (MS) is then used to identify the purified proteins and co-purifying protein assemblies. A variety of MS techniques have been developed that are quantitative and scale well for high-throughput analysis. Drawbacks include a bias toward high abundance proteins, interference from over-expression of tagged proteins, and sticky or unspecific proteins co-purifying after cellular extractions. Y2H is an in vivo method that is easy to set up, inexpensive to use, and requires minimal optimization. In contrast to Affinity Purification-MS (AP-MS), Y2H supports the detection of direct and binary interactions between two proteins. Moreover, the experimental setup favors the detection of interactions between proteins that are low abundance in their natural context, and also of transient and weak interactions, such as those that are important in signaling cascades. Drawbacks include a large number of false positives, problems associated expression in the yeast host, constraints exhibited by fusion proteins, and targeting to the wrong cellular compartment. NGIS takes advantage of the low cost and high throughput of next generation sequencing to identify non-specific binding a priori and reduce false positives when coupled to Y2H assays. Unlike typical Y2H, which uses the Sanger sequencing method, NGIS is time and cost efficient, allowing for an unrestricted number of interaction identifications. Hence, NGIS provides more complete coverage and specificity of the detected results and quantitative data. The Y2H-NGIS coupling allows the Y2H assay to finally “catch-up” and even surpass with the AP-MS technique in specificity and reliability. Besides Y2H, NGIS can also be applied to other binary interaction assays (e.g. protein complementation, split-ubiquitin), or variant assays for elucidating the interaction between proteins and other biomolecules. Next Interactions offers a suite of services comprising protein- protein interaction (PPI) screens, protein engineering and functional assays. Free Quote, Free Advice – Sign up Today!